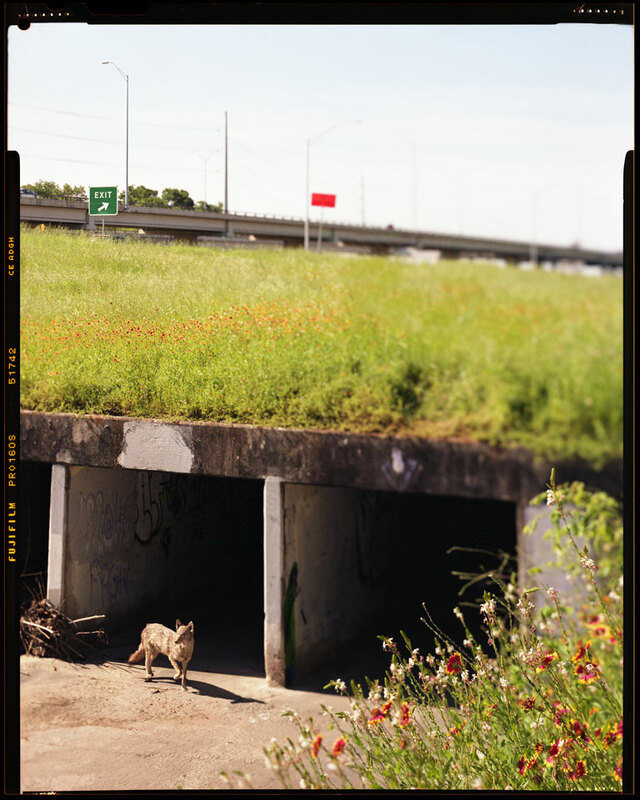 This ongoing series explores my personal interest in the candid sightings of natural predators co-habitating with humans, as metropolitan cities like Austin, develop and continue to sprawl due to urbanization. 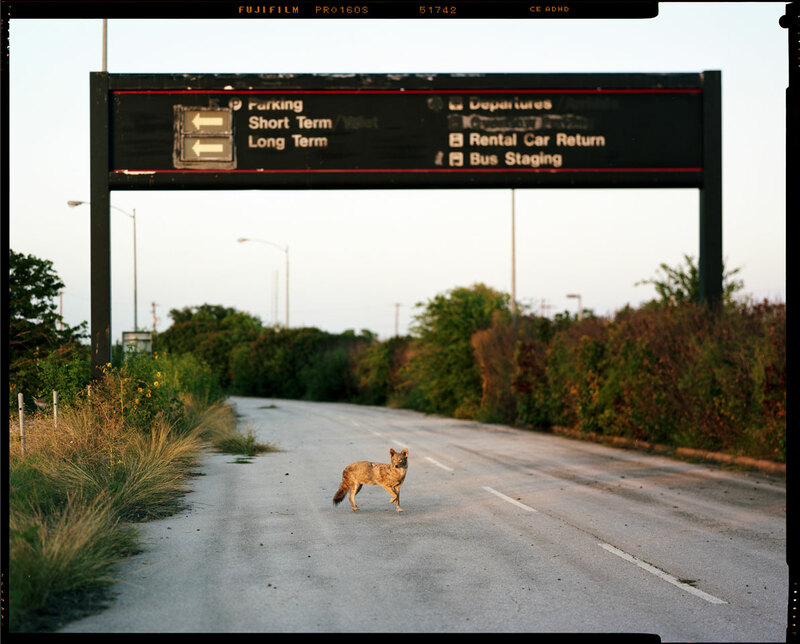 The urban coyote, in particular, has quickly adjusted to other habitats and become quite successful in landscapes dominated by people. 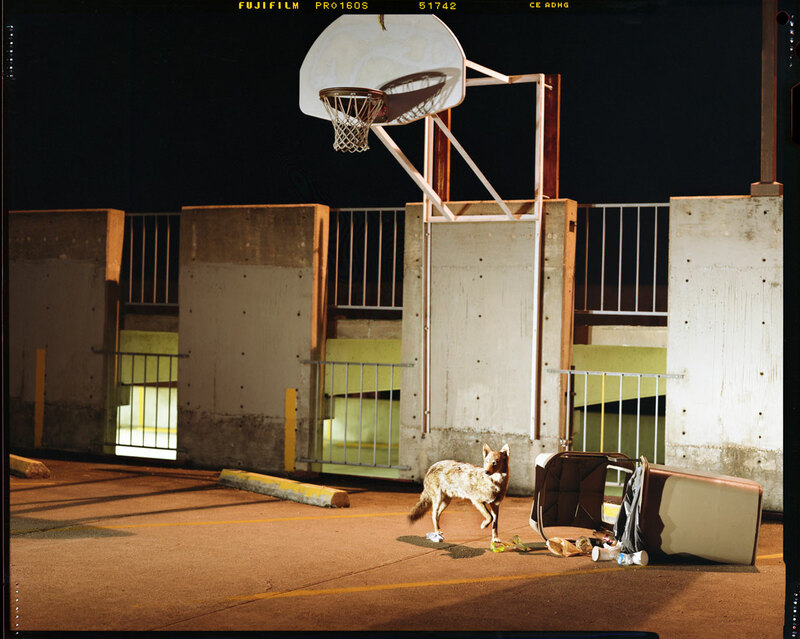 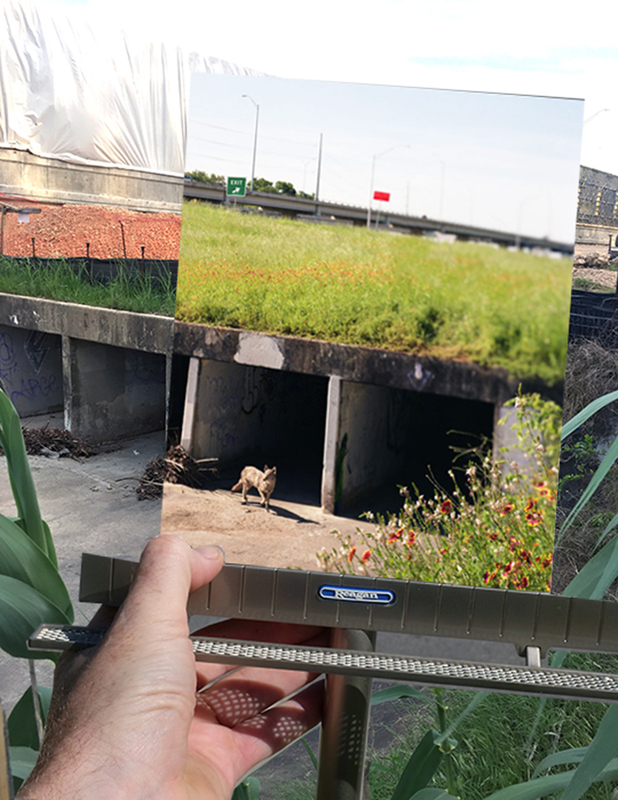 In creating these fictional dioramas, I am able to examine this relatively new phenomenon and the coyote's territorial relationship with human encroachment. 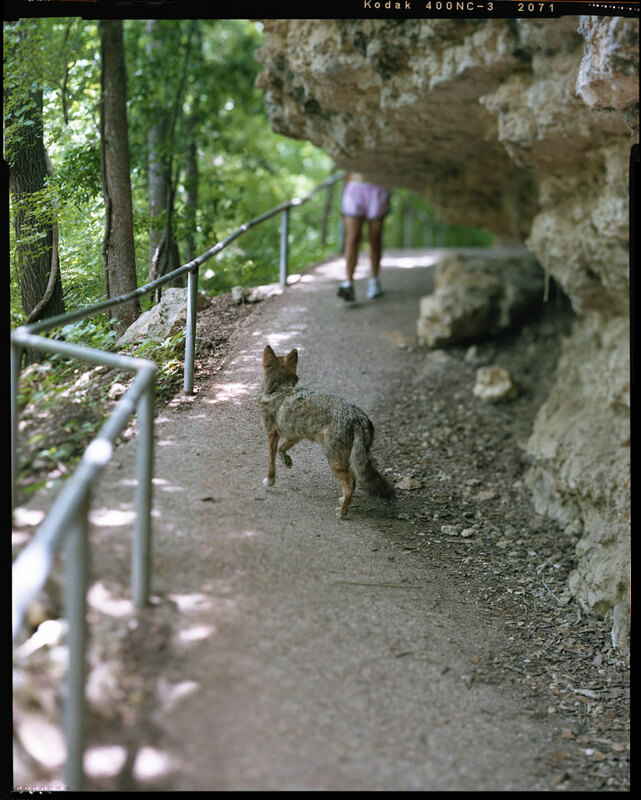 The series examines Austin landmarks and institutional environments redeveloped for habitation, education and transportation where natural predators still roam. 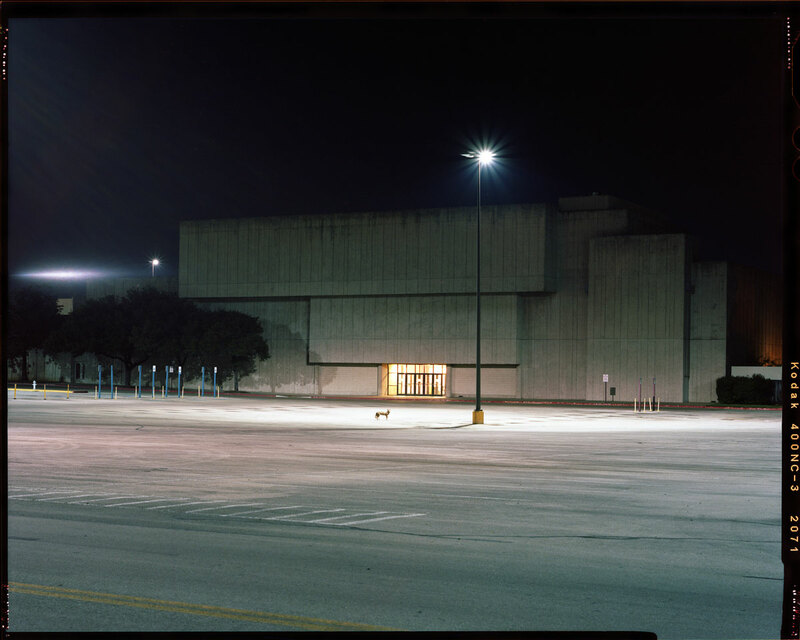 The project uses diaramic large format photography and site specific installations recorded before and after the development of the rapidly expanding Mueller Community (site of the old airport), the once thriving Highland Mall (now Austin Community College) and The Mopac Expressway improvement project. 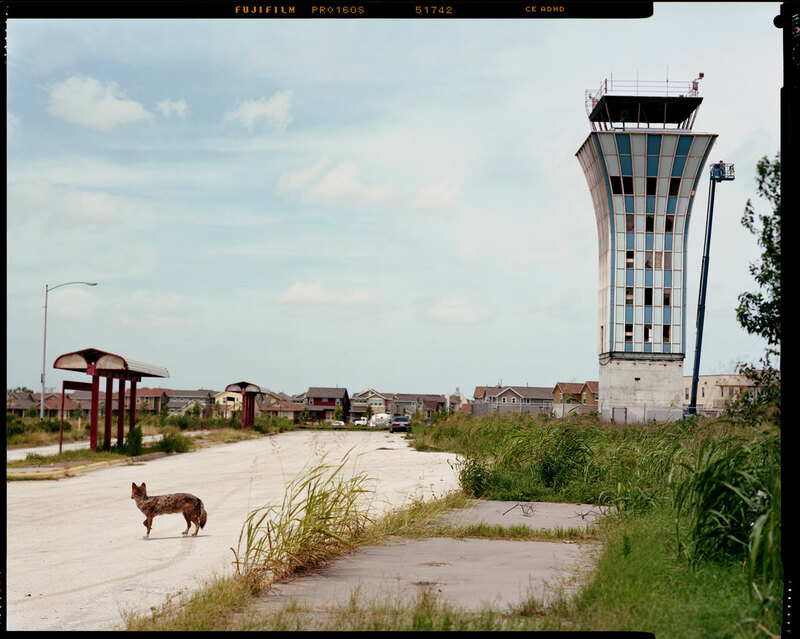 With this work, I hope to provide a playful and nostalgic, yet valid reminder of rapidly changing landscapes and the habits of species interrupted by human consumption. 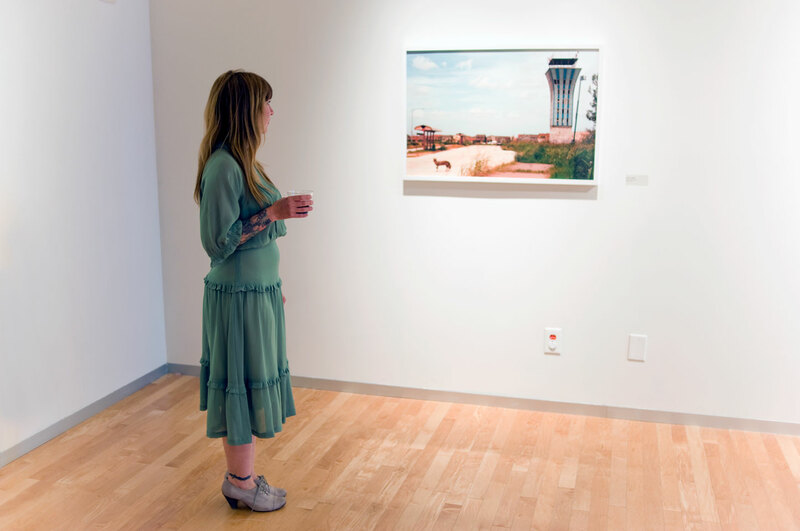 The billboards are a gentle reminder of local progress, giving the viewer and opportunity for reflection to reconnect with the impending expanse of our city.